Herald and Review Library: Gilman, Lt. Fred; Article on back of photo; Lieut.(j.g.) Fred Gilman, son of Mr. and Mrs. George A. Gilman, 414 South Monroe street, left recently for San Francisco to report for duty on a heavy cruiser after spending a leave here. 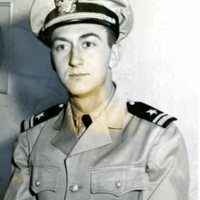 Lieutenant Gilman was graduated from Northwestern university midshipmen's school in January, 1942. 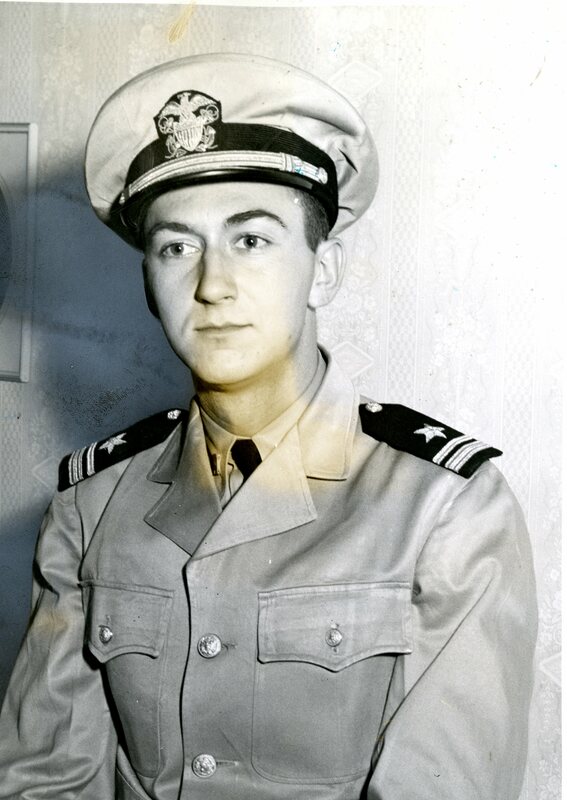 He went on duty with the staff of Admiral Chester W. Nimitz last April." The Decatur Public Library owns and maintains all copyright on materials featured on omeka.decaturlibrary.org. These materials cannot be used without prior consent. Please contact the Local History Room at the Decatur Library for more information. Herald and Review, “Photo of Lt. Fred Gilman in uniform,” Decatur Illinois Public Library Local History Photo Collection, accessed April 24, 2019, http://omeka.decaturlibrary.org/items/show/346.